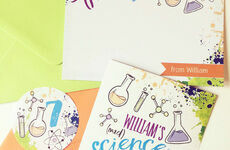 Throwing a brilliant children's party doesn't have to feel like you're pulling a rabbit out of a hat. 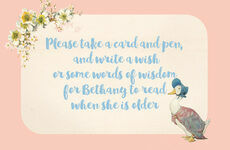 In fact, the best birthday bashes or 'just because' celebrations have a truly timeless and magical edge to them, and this is where Beatrix Potter comes in! 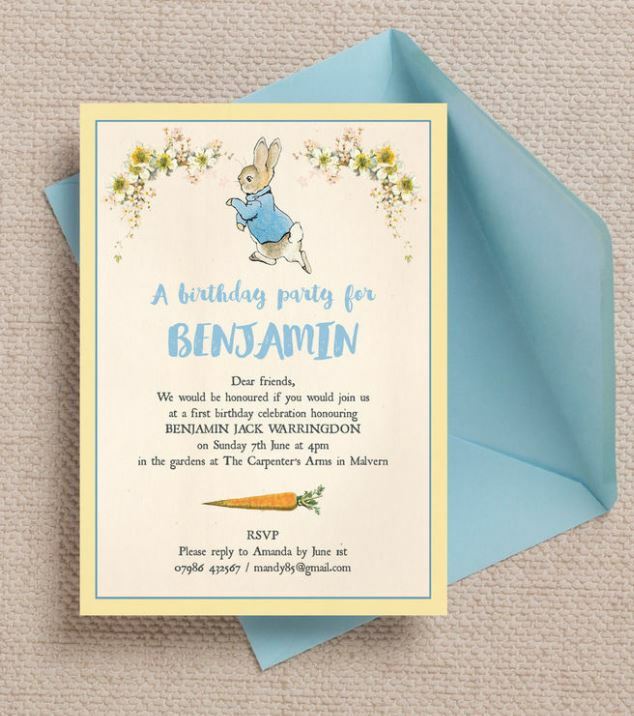 The Tale of Peter Rabbit is a story that has captured the imaginations of children and adults for generations, spawning everything from captivating artwork to feature films. Little ones love to believe that Flopsy, Mopsy, Cottontail and Peter live somewhere at the bottom of their garden, so why not make the fantasy a reality? 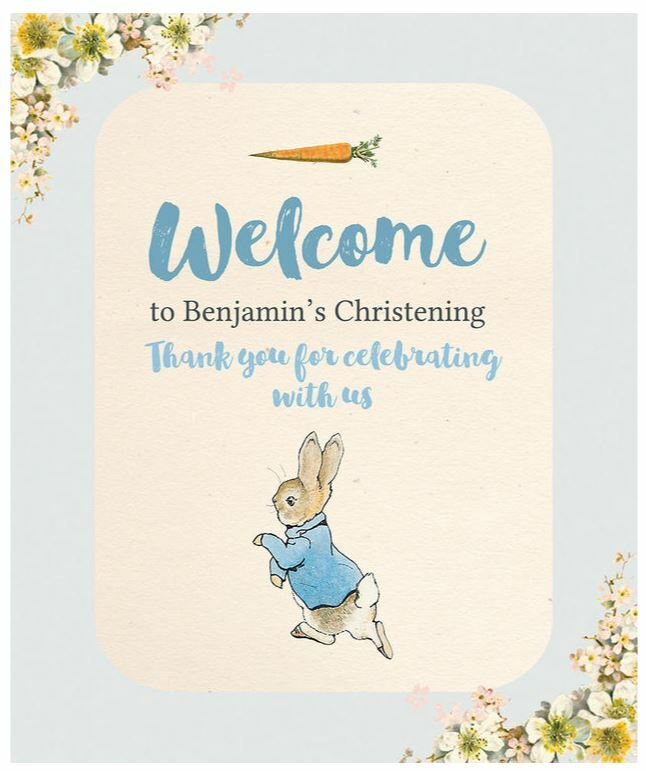 At Hip Hip Hooray we have put together a selection of our most popular Peter Rabbit stationery along with a few handpicked party ideas that will make every guest a truly happy bunny! Welcome everyone into Mr Mcgregor's garden with this elegant welcome sign to set the scene perfectly. 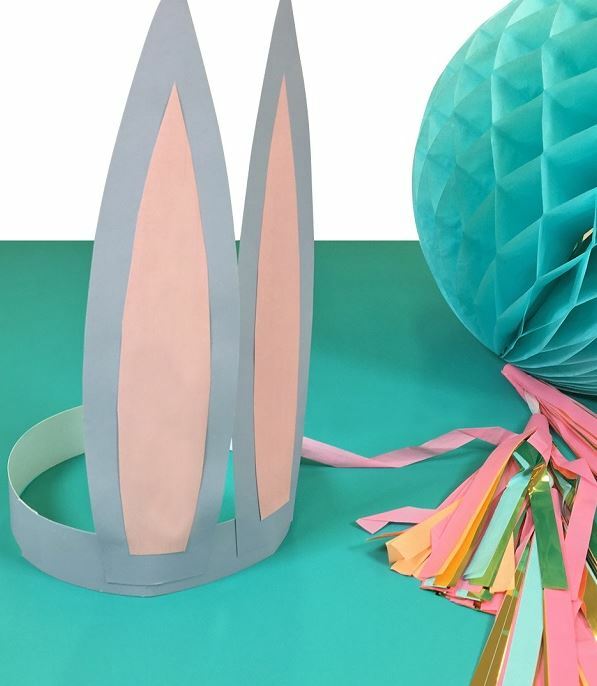 Make sure every rabbit child looks the part with a set of charming bunny ears placed on the party table or entrance of your party. 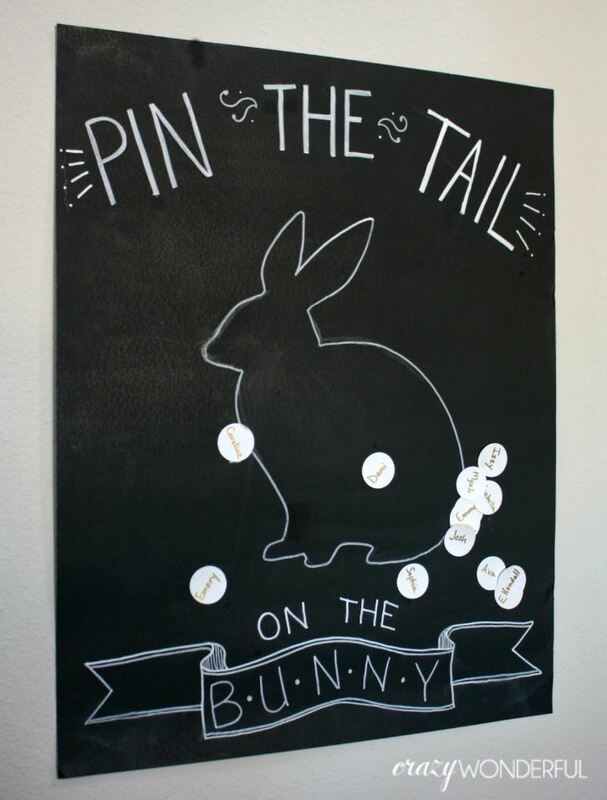 Pin The Tail On Peter! This classic blindfold game will definitely attract a crowd! 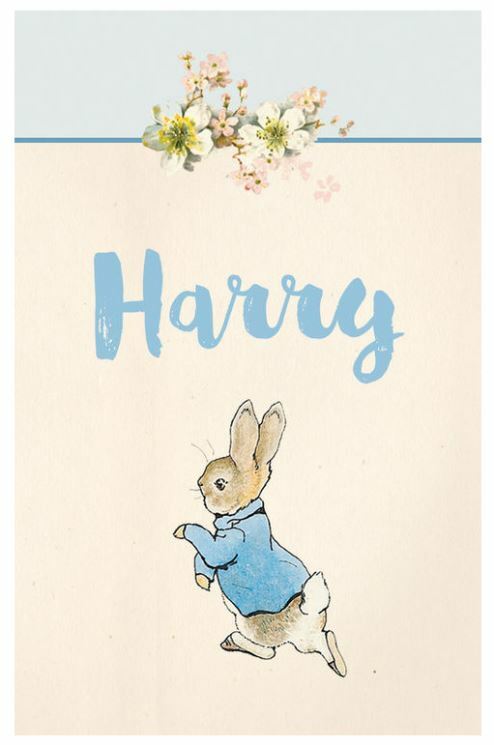 Just like the end of the Peter Rabbit book, you and your guests will settle down to an appetising dinner after a day spent scurrying in the garden. 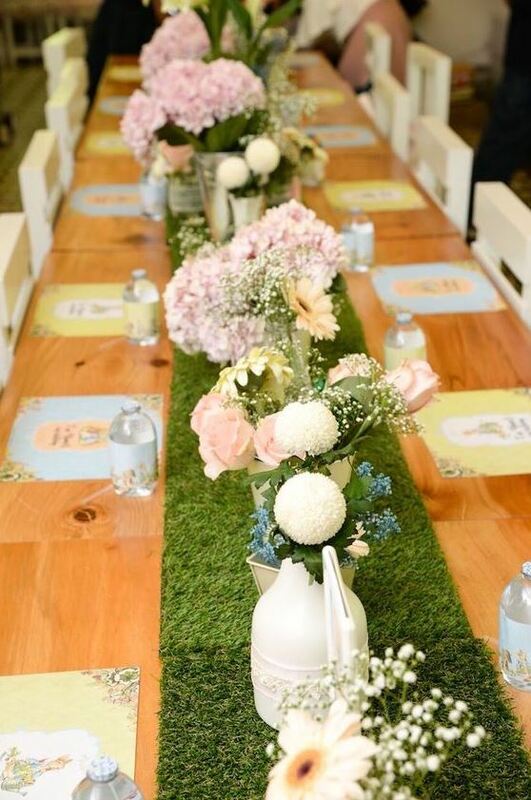 Customise your table with faux turf, flowery embellishments and our extra special name cards, decorated with the names of each and every guest. 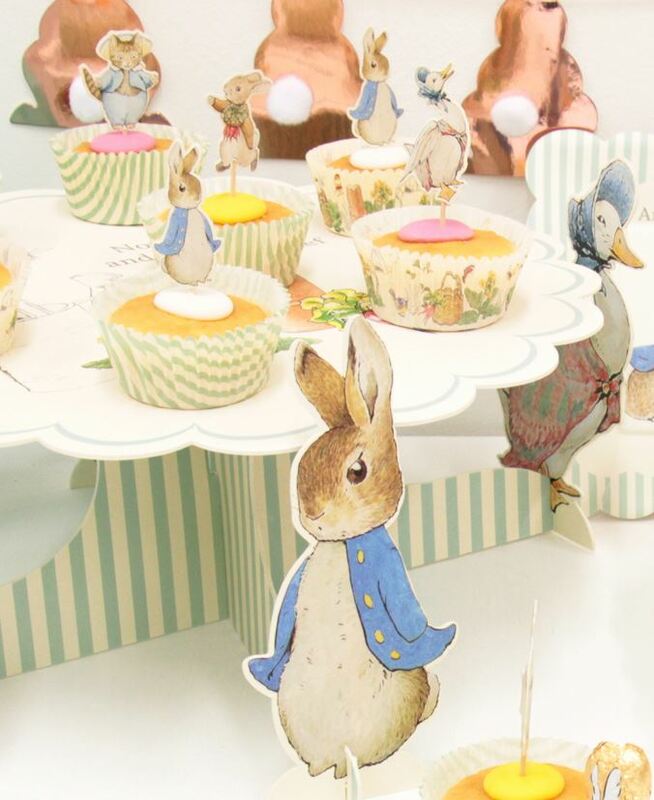 Cupcakes Topped Off With Beatrix Potter Characters! If you're a true fan, make sure you add a character to every cupcake. Looking for a healthy but irresistible party piece? 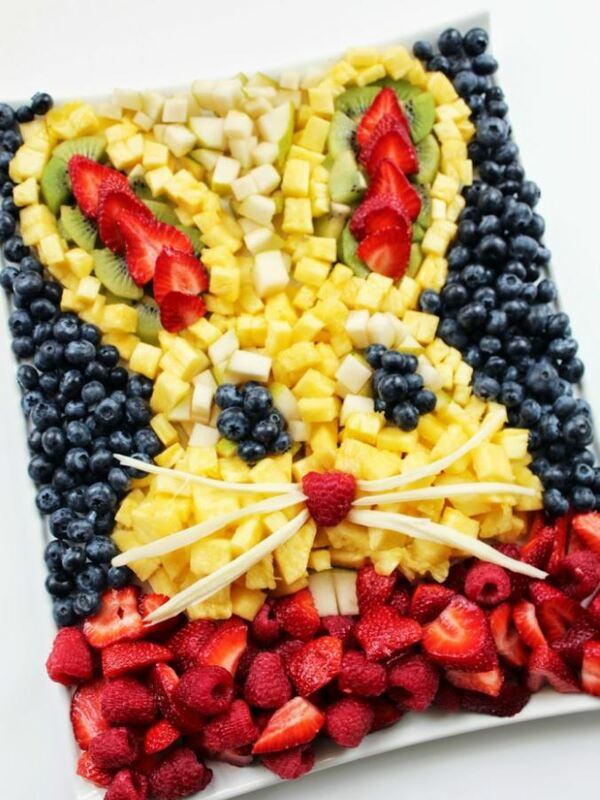 Create this colourful platter from your favourite fruit pieces and you won't even need a cake! 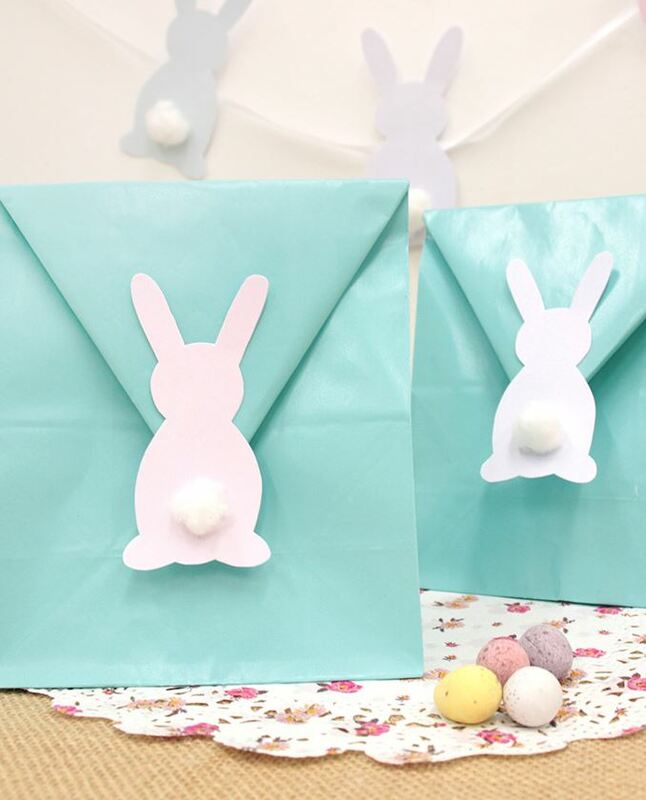 Fancy giving your party a quick Easter makeover? 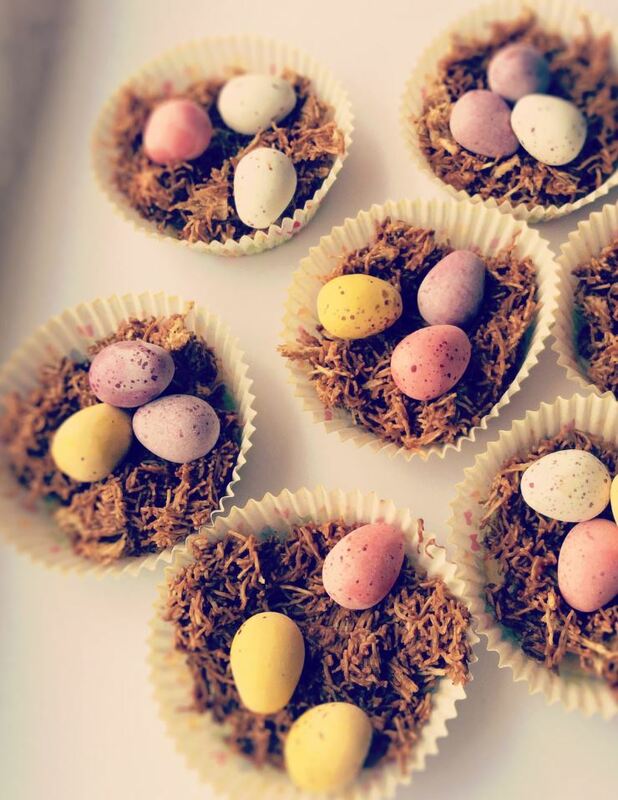 These cute egg nests are super easy to make and absolutely delicious to eat. 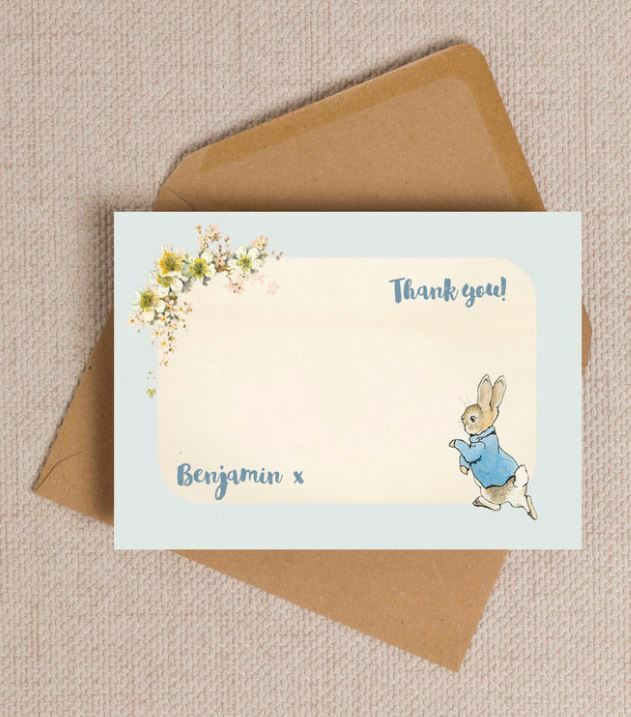 Once the garden gate has closed on your Peter Rabbit party, say thank you to all your friends and family with a personalised thank you card. 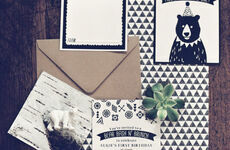 If you love modern and quirky design with a big dose of fun, we have some gorgeous kids party inspiration for you!